Air conditioning is more than temperature control, it affects your health, the environment and has cost and aesthetic concerns. Commercial and industrial buildings need reliable temperature control. Without it, employee productivity suffers and valuable inventory becomes vulnerable to damage. Equip your office, warehouse or public building with efficient and effective commercial air conditioning. ASCOTT Air Conditioning will ensure that you achieve indoor comfort. 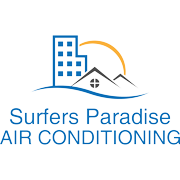 With over 20 years of experience in this Commercial Air Conditioning industry, we have completed over 100 commercial projects. With our expertise and complete knowledge in the Air Conditioning Industry we can offer the best air conditioning package that suits you. ASCOTT Air Conditioning’s background in Design & Construct projects sets us apart from the rest. From tenancy fitouts to large multi storey projects, we are experts in providing the best solution for your needs. From design to installation and after sales service and maintenance, ASCOTT Air Conditioning has an ongoing commitment in providing complete satisfaction to their clients. No job is too difficult for ASCOTT Air Conditioning. We pride ourselves on finding the best solution for our clients. ASCOTT Air Conditioning can offer and has provided the following services over the past 20 years. Please refer to our Gallery for previous commercial projects completed by ASCOTT Air Conditioning over the last 20 years.